A drilling rig will be seen near Whakatāne CBD stopbanks in coming days, as the Bay of Plenty Regional Council undertakes investigative work set out in its Long Term Plan. 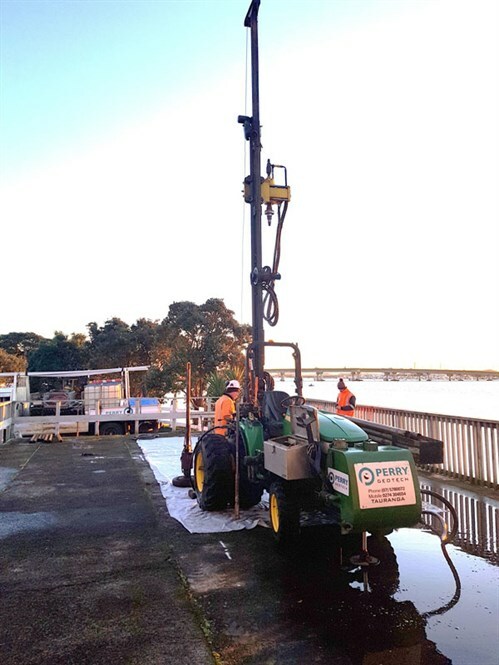 Environmental Engineer Kent Jacobsen says the tractor-mounted geotech rigs will be taking bore samples at three sites within about 200 metres of the Otuawhaaki Visitor Information Centre. Access to parts of the Warren Cole Walkway may be closed during the geotech work. Kakahoroa Drive and Quay Street will need to be temporarily closed to both vehicle and pedestrian traffic, expected for a day each. Traffic management on the day will advise on road closures and alternative routes.